How can Cloud Service Providers easily create new revenue streams at 'the edge', when they have no current capability to do so? I’ve worked with a number of Cloud Service Providers (CSPs) for the past few years and have watched the continued development of their offerings over time. From a starting point of standard cloud based IaaS, CSPs have recognised the proliferation of public cloud and typically now offer hybrid solutions, based on delivering the most appropriate hosting venue for applications and workloads across public and private cloud; located on or off-premise. Although not specifically stated, when delving into the ‘on-premises’ solutions further, the customer environment being referred to is predominantly either the customer’s datacenter, or larger facilities such as the Head Office. However, the distributed enterprise also has application and workload requirements at its small, remote office, branch office sites (ROBO) which are very often not addressed by a CSPs portfolio. Before you say “That’s easy, remove the on-prem server and put everything in the cloud” there are many reasons why that is often not the answer. For example, legacy line of business applications were never architected for the cloud and have to remain on site. Moreover the proliferation of IoT, real-time analytics etc at the edge, reaffirms the need for on-premise computing at the branch, to apply intelligence to the vast amounts of data being generated locally. For CSP’s to offer more encompassing hybrid cloud solutions, why do they not include an offering which supports the needs of a distributed enterprise? Maybe ROBO sites are deemed to be unimportant, or ‘small beer’, compared to the core, but try telling a supermarket that its stores are unimportant, an estate agent that its branches are not as important as its online presence, or an oil company that it’s exploration sites are peripheral to its business. It appears that CSPs are too busy developing new capability in the cloud and fine tuning their existing portfolio. Deploying hundreds, or thousands, of identical, secure branch implementations needs a solution specifically designed for the job. Transferring datacenter technology to a branch environment is not that simple, and can be challenging to those who come to the market with a datacenter mindset. An approach of “what’s good in the datacenter is good in the branch”, or conversely of “branch solutions are less mission critical than datacenters and can therefore exist with lower SLA’s and functionality”, just doesn’t work. The requirements of the branch site are different. The highly impressive engineering focus of datacenter providers has been primarily targeted at optimizing storage capability at a large scale, rather than distributed branch networks. Issues of support, security, environment, management, and cost effectiveness are fundamentally different in a large corporate datacenter than they are in a branch. The process of delivering a branch server with an up to date software stack and a unique personality to a specified site, fully integrated to a management system that will maintain it for its entire lifecycle, must be centralized and automated if the desire is to reduce cost. All software, firmware and security needs to be kept up to date on an ongoing basis. The degree to which the distributed systems can be monitored, managed, configured, patched, updated and upgraded will have a significant impact on support costs, so applying sophisticated, automated processes to these tasks is key to reducing costly site visits, and mitigating risk. Developing a commercially viable solution would require a CSP to commit significant time, effort and resource, so as with many things in life, the answer may not be to spend valuable resources building this capability in-house, but to let an expert provide it ‘as a service’. If anyone understands the benefits of buying something ‘aaS’ it’s a CSP! Zynstra has collaborated with Hewlett Packard Enterprise to build such a solution – HPE Easy Connect. Specifically designed to address the needs of the distributed enterprise, this cloud managed, hybrid could solution can be included in a CSP’s cloud service portfolio, allowing it to go to market quickly and simply with a solution specifically designed to address the enterprise ROBO market. 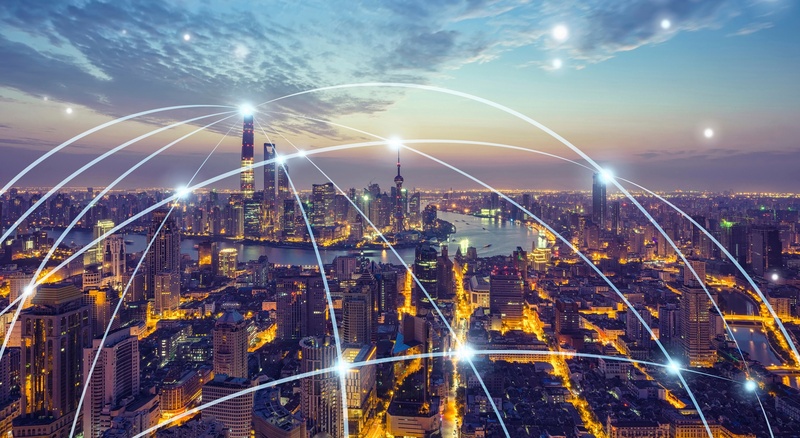 What are the benefits of HPE Easy Connect to the Cloud Service Provider? If you’re a Cloud Service Provider and you’re interested in exploring how this solution can expand your cloud capability, please get in touch.